The amazing guide on how to super speed up your slow internet connection. There is nothing more frustrating than slow network connection. One way on how to speed up your slow PC internet connection is getting a good router. Find one that comes with packet prioritization and quality of service features. You will have the chance to limit some applications and enabling others that you deem important. In short, you need a router with compatible chipset to enable for quicker internet connection. It is no secret that most browsers have changed over the last couple of years. The browser you were using last year is not the same this year- in terms of speed. You must however evaluate different options available in the market and choose a speedy browser for you. Consider an option such as opera, which compresses and reduces images and data in a way that speed is enhanced. You could also go for Google chrome that has features designed to give you speed. Fire fox and internet explorer 11 can also be perfect options in this regard. If you are used to downloading very big files, you can find a download manager that enables you to schedule transfers. You should consider changing DNS servers which enables you to get quick responses to your devices. You should also install caching proxy server to have easier access to files and resources you frequently use. Still, another way of how to speed up your slow PC internet connection is changing router location. Sometimes, humans and objects can be a hindrance from you getting the best internet connection. You can change the router location in a way that it faces a different direction and observe how the internet connections changes. Another way of how to speed up your slow internet PC connection is buying a new Wi-Fi antenna. 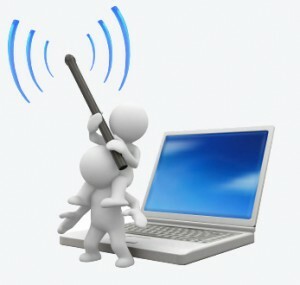 You should go for the high gain antenna and locate it in a place where maximum internet connection is achieved. You may also want to disable background tasks that hinder faster internet connectivity. You can disable notifications or applications that are hardly used and hence achieve faster internet connectivity. Once you have followed the steps above, you will have better internet connection and experience. If you are still stuck on how to speed up your slow PC internet connection, you may want to call a service provider for more insights.